Hanoi (VNA) – The Hanoi Social Insurance has decided to publicise 500 local enterprises which failed to pay social premiums for their employees for three months upwards. 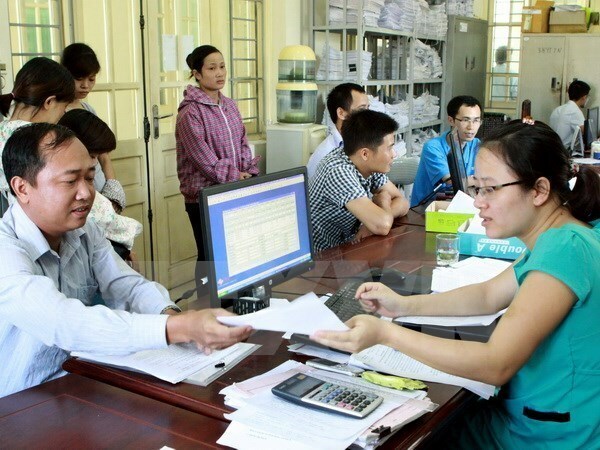 Hanoi now has the highest debts of social, health and unemployment insurance, standing at 3,378 billion VND (148.8 million USD) owed by 23,955 enterprises, affecting the legitimate rights of 334,694 labourers. Vu Duc Thuat, Vice Director of the Hanoi Social Insurance, said that these firms have violated the law as well as the rights of labourers, negatively affecting the city’s social welfare and security. Along with publishing their names, the Hanoi Social Insurance will roll out measures to collect the debts and coordinate with other authorized agencies to launch inspections to protect the rights of labourers, he said, adding that the agency expects to complete the debt collection in October.